Use Isreali cucumbers to make these pickles. They are ready after 4-5 days. 1. Place vinegar, water, sugar, salt, garlic cloves, chillies, bay leaves and peppercorns in a pot to bring to the boil. 2. Wash cucumbers and pack into a jar. 3. Pour hot liquid over cucumbers and leave to cool. 4. 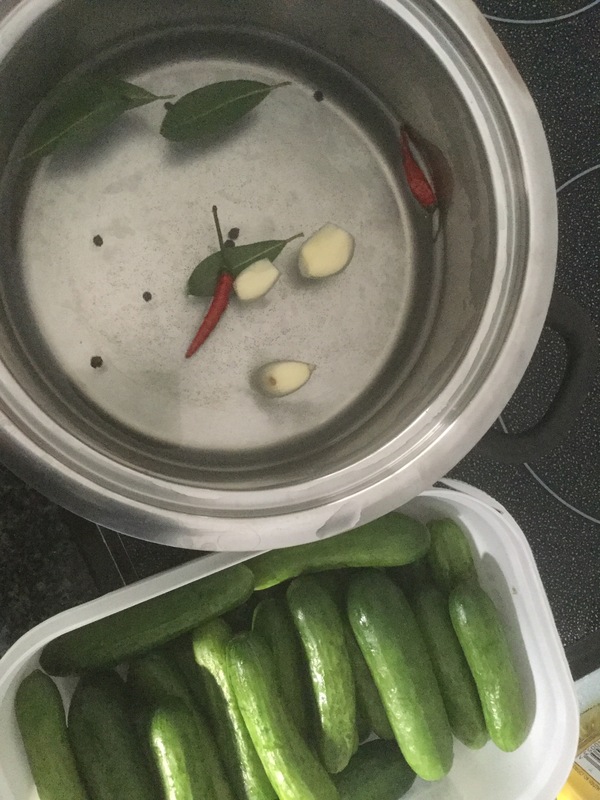 Place in fridge and leave to pickle for 4-5 days before eating.